Last week, NASA gave word that it had recently made an excellent and rather mind-blowing new discovery using the Hubble Space Telescope. On Thursday, the organization announced that Hubble has captured the largest collection of images of the faintest known galaxies in the universe. NASA further stated that some of these galaxies were created only 600 million years after the big bang. The team conducting the research which lead to this discovery has determined that the galaxies captured in the new images played an essential role in creating the known universe. Whoa. But this is just the latest in a series of fantastic discoveries that have been made possible by Hubble. 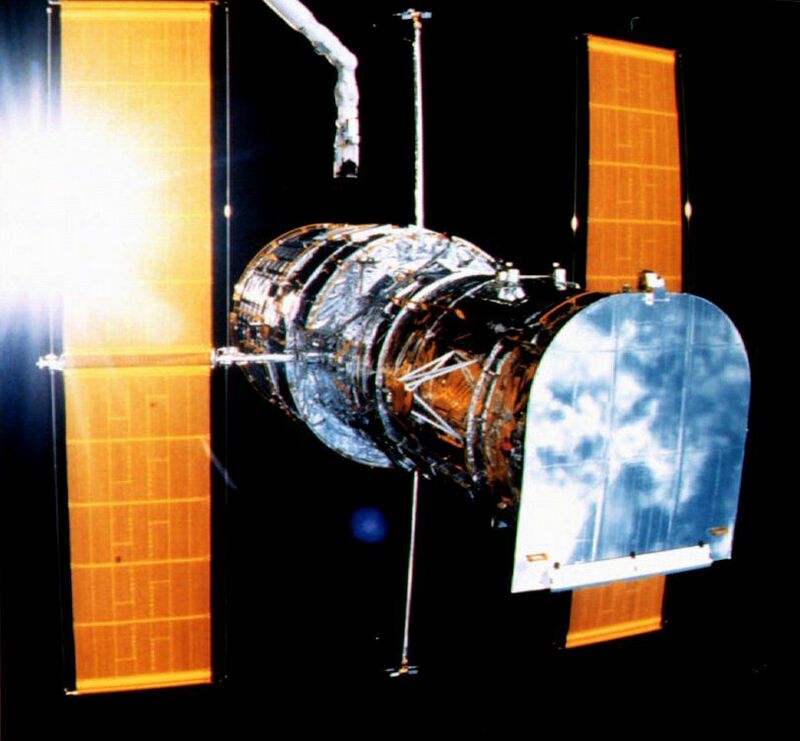 Placed in orbit in 1990, the Hubble is an extremely sophisticated piece of technology, and has changed the way scientists are able to study space. The telescope has been instrumental in a number of groundbreaking discoveries during its short time in operation, and no doubt there are many more to come. In light of this amazing new discovery, which is helping us better understand the creation of the universe we live in, here are several more amazing things we may never have known about if the Hubble hadn't been around. Ah, yes. The big one we all wanted to know, and before Hubble, which we could only make educated guesses about. The Hubble measured the age of the universe in two different ways. The first was to measure the speeds and distances of other galaxies, and the second was to determine the ages of the oldest star clusters. Using these methods, scientists were able to determine that the universe is darn near 13.7 billion years old. Okay, so not "alien" as in a green guy who traverses the universe in a UFO, but alien as in "outside our solar system." Which is still incredible. In 2004, the Hubble snapped images of a planet called Fomalhaut b, which was later observed to be orbiting a large star called Fomalhaut. Astronomers who used the Hubble telescope to research the expansion of the universe were awarded the Nobel Prize in Physics in 2011 for their discovery of "dark energy," a mysterious space energy that seems to accelerating the expansion of the universe. Far out! Believe it or not, the existence of black holes was not confirmed until 1994. In May of that year, the Hubble telescope found evidence of a black hole in the center of the giant elliptical galaxy M87 (which is a mere 50 million light years from earth). In 2001, the Hubble captured images of planets that were struggling to form in the Orion Nebula. The images of planetary building blocks gave scientists a clear idea of how difficult it is for planets to form in this region. The Hubble has been able to nab photos of gamma ray bursts, which NASA scientists say are possibly the most powerful explosions in the universe since the Big Bang. By locating the galaxies where these bursts occur, scientists can predict where new star systems could pop up. Damn, that's cool.